Get up to 200% bonus on your data subscription for free! [Subscription] Get up to 200% bonus on your data subscription for free! 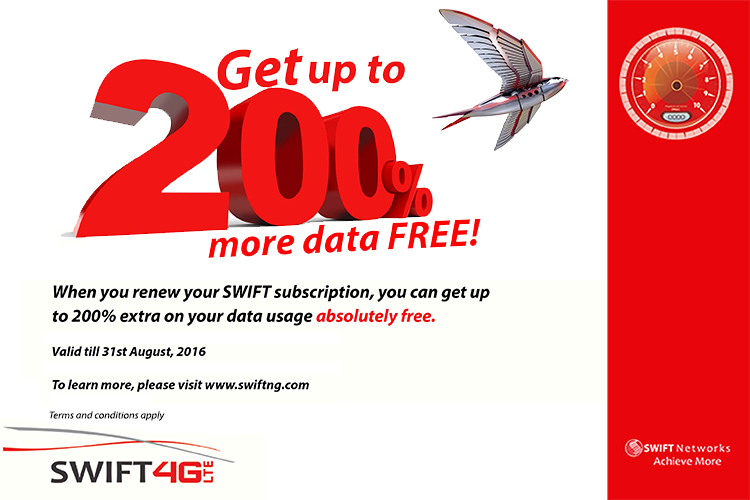 You can now enjoy up to 200% more data at the same price, when you renew your SWIFT subscription. This promotional offer takes immediate effect.